The 2018 Winter Olympics may be coming to a close, but the games don’t have to end just yet. 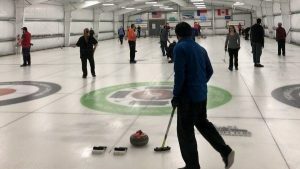 The Triangle Curling Club in Durham offers people of all ages the chance to give curling a try. Kennedy Erdossy went to Durham to see what it’s like.